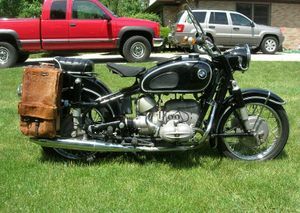 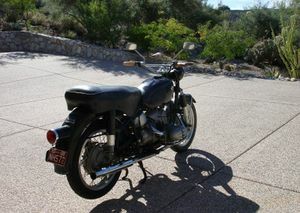 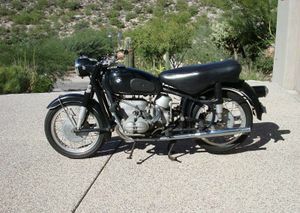 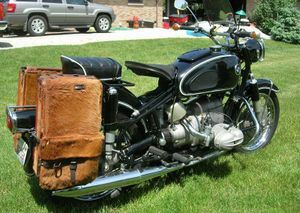 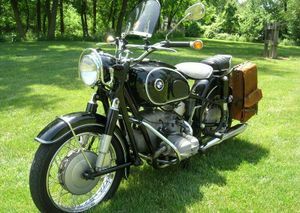 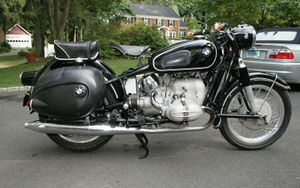 S version of the BMW R69. 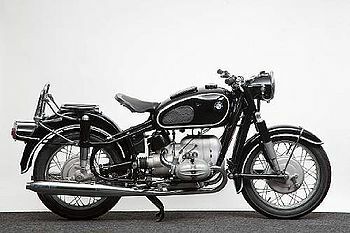 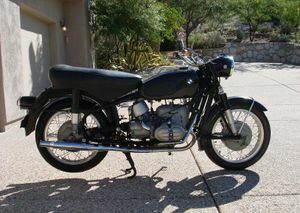 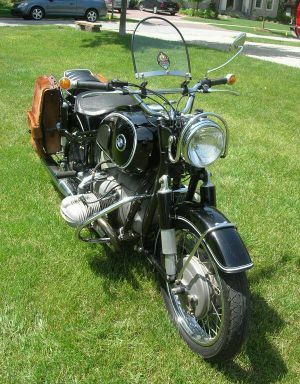 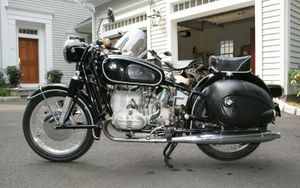 In the early 1950s BMW concentrated on refining what were essentially pre-war designs, but by 1955 was ready with a brace of new machines, the BMW R50 and R69. 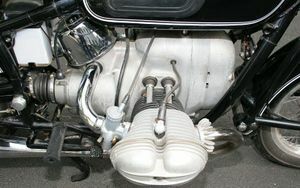 Of 500cc and 600cc respectively, the newcomers inherited the updated, flat-twin engine introduced on the R51/3 a few years previously but deployed this in all-new cycle parts, the most notable departures from preceding practice being the Earles-type, leading-link front fork and swing-arm rear suspension enclosing the drive-shaft in the right leg - developments first seen on the works racers. 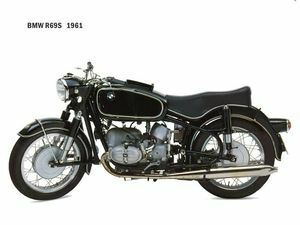 A luxury tourer capable of over 100mph, the R69 cost as much as a small family car and sold to discerning enthusiasts for whom expense mattered little when set against the excellence of BMW engineering. 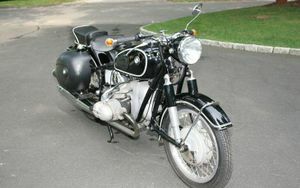 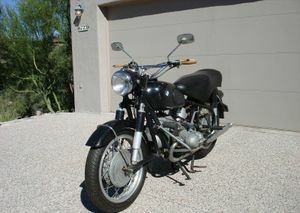 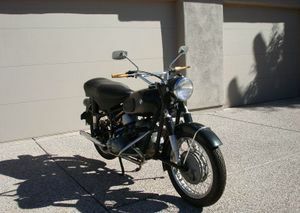 The R50/69 were produced until the arrival of the slightly more powerful 'S' versions for 1961. 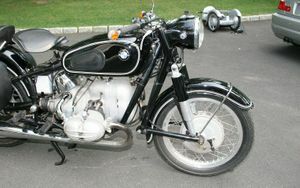 The larger of these, the R69S, produced 42bhp and was good for a top speed of around 110mph. 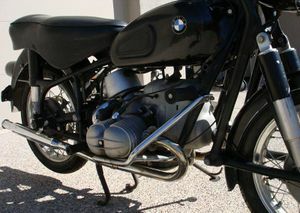 'Luxury roadster with superb high-speed performance yet docile traffic manners; magnificent steering, roadholding and brakes,' was Motor Cycle magazine's verdict. 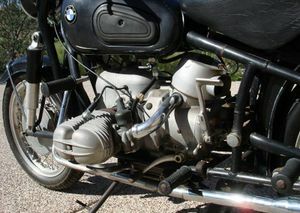 This page was last edited on 20 January 2011, at 20:18.